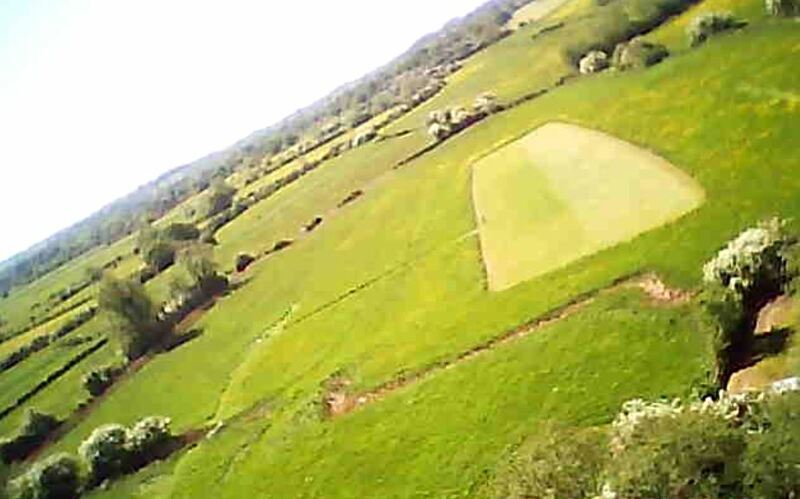 The Club flying site is situated at Duckhole, which is about 3 miles from Thornbury in South Gloucestershire. It sits in the microclimate of the Severn estuary, which has a micro weather climate of it’s own. We have found the best weather and wind forecast for our site is provided by XCweather. 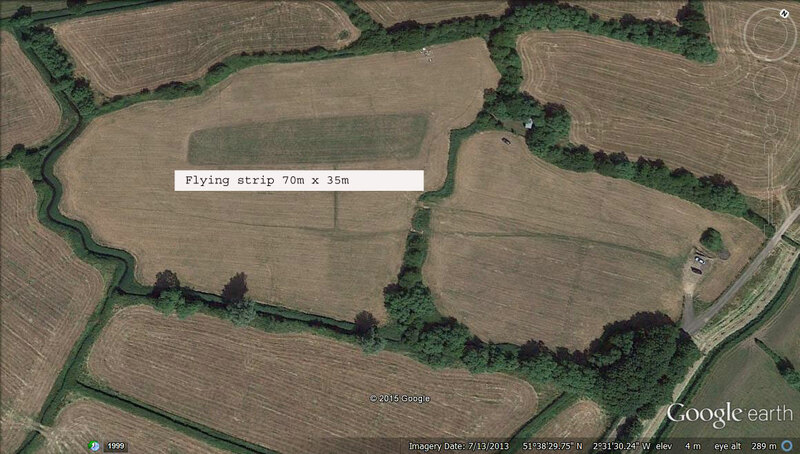 The flying site is approximately 6 acres in total, the “flying strip” itself is grass, is approximately 70m by 35m and is suitable for flying most types of model. Double click on the image to enlarge. 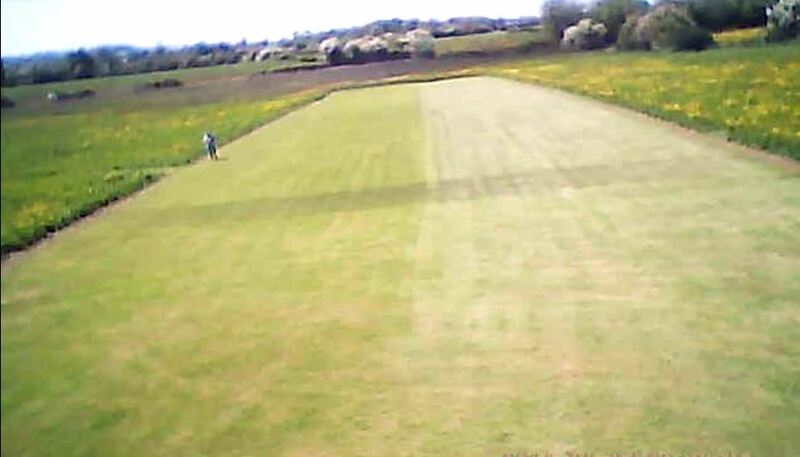 Our flying strip is approximately 70m x 35m. The grass is kept properly mown and is even suitable for flying models fitted with retracting undercarriage, with some care. We find that a practical limit of model size is about 7Kg, although 10Kg models of lightly loaded aircraft have been flown by more experienced pilots. The strip is on agricultural land, and does have a number of trees close by. This tends to make the Club’s flyers reasonably competent and we find that they have very little difficulty in adapting to other (more open) sites. The Club has a strict noise limit of 82dB, in accordance with the BMFA code of practice, and this tends to limit the size of model which can be flown. Generally, models powered by .40 cu in two strokes fitted with the manufacturer’s silencer are OK, as are four strokes up to .90 cu in. Models with engines larger than these usually have to be fitted with supplementary exhaust arrangements. Models are regularly tested and if over the limit ,they are not permitted to fly. The Club has Local Authority planning permission which is for 365 days per year, restricted to 9am to 9pm. The Clubs planning permission also has strict no fly zones. The Club considers safety of paramount importance, and will vigorously discipline members who put the Club, its members, and the public at risk. 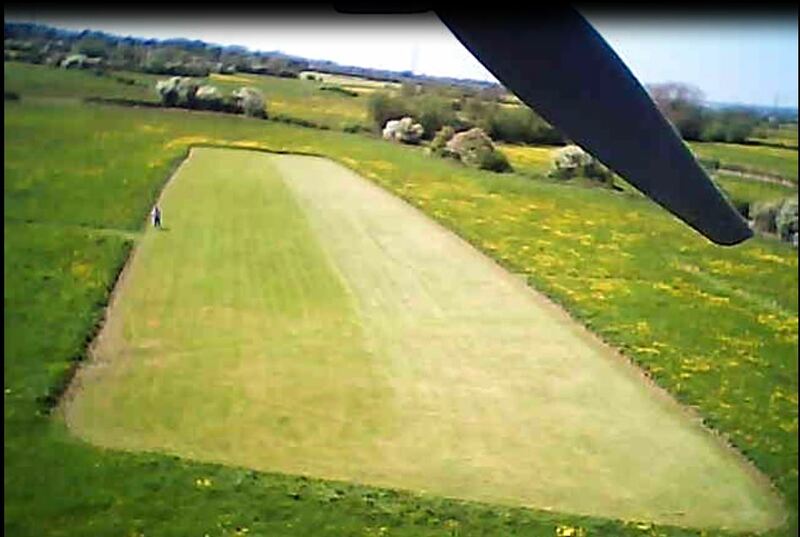 Members and their guests who wish to fly at the site MUST be in possession of valid BMFA insurance (or an equivalent acceptable to the Club) and must be fully familiar with the fly and no fly zones associated with using the clubs facilities. For written directions and a map you can print out, please click here .